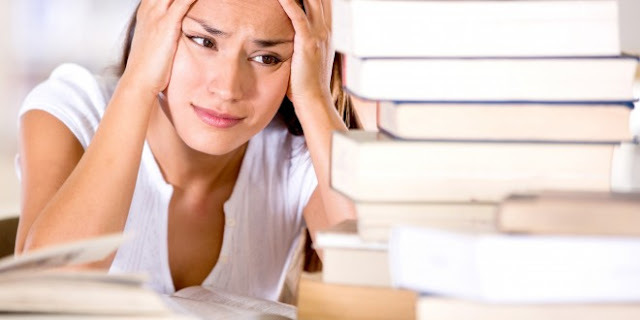 A well written essay is the key to success in academic career. That is the reason mostly students search for essay writing help online. “How to write an essay” is the simplest question yet it is one of the most searched questions on Google. A good essay is the one that has attractive introduction, good thesis statement, and is well organized. The essay that catch reader’s attention and they cannot help but read complete essay is what you need to achieve while improving your writing skills. This article offers a step by step guide on how to write a good essay. Usually a topic is given by the tutor or teacher in the class but if you have been asked to select your own topic, choose a topic that you are comfortable with. The topic must be related to your subject or course. In addition to this, the topic must be genuine and attractive at the same time. You can get topic ideas from recent news related to your study area. 2. Write your ideas in the form of an outline or diagram. Once, you have picked a topic, it is time to make an outline. An outline is a rough sketch of what your essay includes. You can write your ideas, suggestions, and arguments in favor or against your thesis statement. The outline helps the essay writer to stick to the main point and don’t write irrelevant content or parts. It is the initial step to write an essay, where the essay writer puts his/her thoughts on paper. Thesis statement is in actual comprises two parts; in first part you need to describe the topic of the essay and its second part describe the point of essay itself. The main body is important because here you write in details the answer to your essay topic or question. It comprises the detailed discussion on main points, the answer of your essay, the viewpoints as stated in the mainstream literature and your own point of view. Here, you have to state both the arguments in favor and against your thesis statement. Write each idea that you have outlined earlier in one paragraph. The structure of each paragraph should be same. You can start it with the introductory sentence that you have written in the outline. Write you’re supporting ideas in the form of sentences and leave space for 3-4 lines that you can fill later with examples etc to make it strong. Now that you have written the main body of your essay and organized all your ideas and supporting arguments, examples, it is time to write an introduction. Make it interesting by keeping it simple and focused on the thesis statement. The first line of your essay must be attention grabber. You can start with something that is shocking. It can either be a quote that is relevant to your thesis statement, a dialogue or a story. It can also be a simple summary of your topic. Whatever, it must be interesting and related to your thesis statement. Conclude your essay by giving a summary of what you have written in the essay finishing it with the answer to your topic or thesis statement along with your view point or the thesis you support. The conclusion part of your essay consists of 4 to 5 strong sentences. Keep in mind that conclusion gives the reader a final perspective on your topic so it must be written carefully. Now that your essay is complete, it is time put the pen aside or if you are working on your laptop (most possibly these daysJ) put it aside. Take a short few minutes break and then read your essay carefully. There may be some grammatical mistakes, some irrelevant sentences that you may need to remove, some week paragraph where you may add some strong reference from a book or general. In this final step of writing your essay, you have the chance to make if free of errors and perfect. Check the order of paragraphs. You can get online essay editing help to write a good essay.